The public is invited to attend a meeting regarding the proposed implementation of a pilot program exploring tour restrictions is certain residential areas. Attendees will also have the opportunity to address other tourism related concerns. We are beginning to release information on the second public input meeting for the Tour Restriction Proposal. The invitation is attached, please forward it on to those in your network. The notice will also be sent to the DNA, DBA, and TLC, so keep an eye out for duplicate notification (better too much than too little!). Mobility and Parking has already sent an invitation to those on their email list (emails submitted on annual registration forms). For those unable to attend this next meeting, I have posted a survey on the City website for people to submit their comments and suggestions. Please include this in any information you send out. Unfortunately, the survey was not live when notice was sent to tour companies. Cynthia and I will send a follow-up email with the link to the survey to the tour companies the week before the meeting, but it is open for comment through Nov. 23rd. We will be collecting all comments and will share them in reports to you. Since the second meeting will be held after our November TAC meeting, I plan on having the first round of comments to you, along with the agenda, one week in advance of our meeting. Any comments received after this time will be included with the next report. 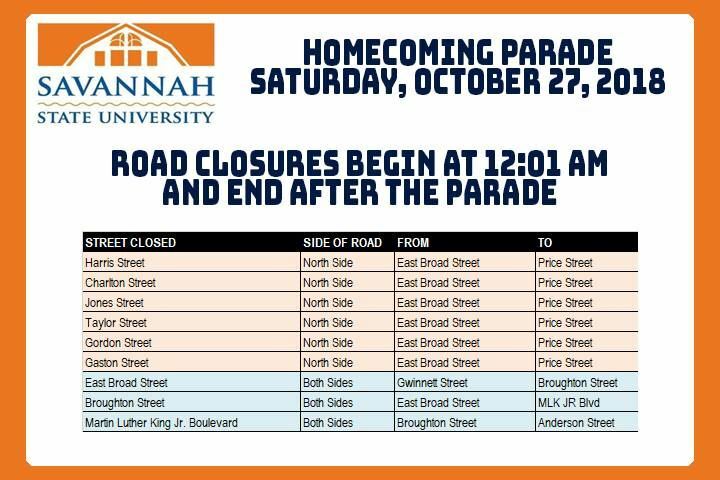 Using the hotel overlay approved by the Savannah City Council, increase the tour hours restricted area to follow the entire zone area. Arterial streets of Liberty, Oglethorpe, Broughton, and Bay would NOT be included. Tours will still be able to operate after 10 pm in the remainder of the Landmark District more conducive to late night activity. If you can make this meeting, we’d appreciate your attendance and suggestions. If you can’t make it but would like to provide your suggestions, please email to kbrenneman@savannahdna.org. We’ll make sure your message gets to the Office of Special Events, Film & Tourism. We have been assured there will be another meeting in the downtown area in the near future but your input is urgently requested. 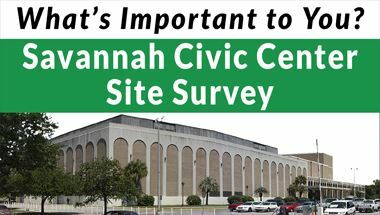 The City of Savannah has hired the Urban Land Institute to help determine how to best use the current location of the Savannah Civic Center and it’s surrounding area. The Downtown Neighborhood Association is on record in support of the area going back to the original Oglethorpe Plan, including streets, parks, squares, trust lots, and tithing lots. The community is being asked to take part in a survey to obtain input for “what is most important to you.” It is imperative that as many people as possible take this survey. 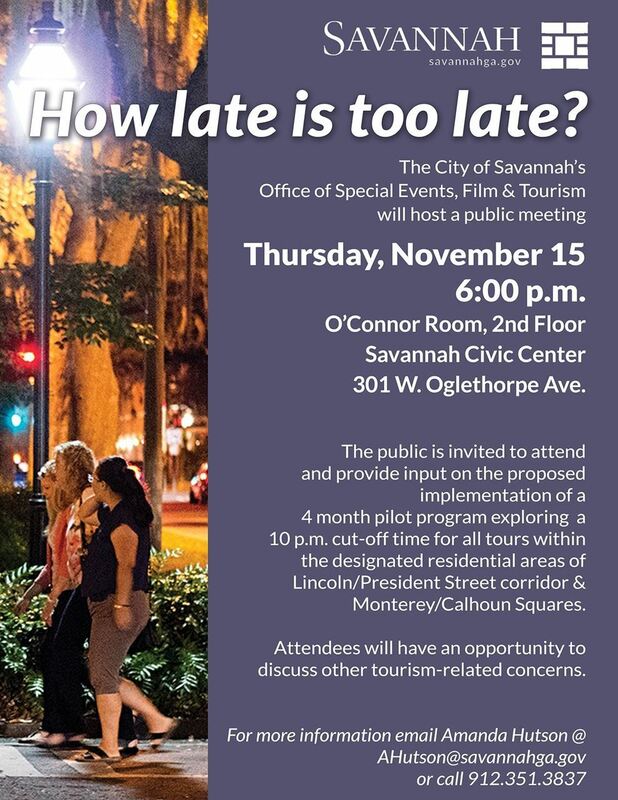 And we hope you will note as a high priority the necessity of preserving Savannah’s National Landmark Historic designation and returning the area to the Oglethorpe Plan as an important element. Please take the survey HERE. The City of Savannah and Savannah Police Department are inviting the public to meet its next police chief, Roy Minter. The City is hosting a “Meet and Greet” event on Thursday, October 4 from 5 to 7 p.m. at Grayson Stadium in Daffin Park. There are several important dates coming up where the public will have the opportunity to give input on a number of matters. I encourage all District Two residents to participate. This is your time to get involved, ask questions and be part of the process. Applications will be accepted beginning Friday, August 24, 2018.